Four men have been jailed following a violent brawl in a city centre pub. 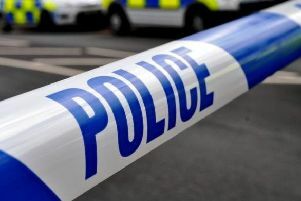 Calum Adams, 22, of Cowfold Road, Brighton, Sheridan Hawkes, 27, of Kingston Way, Shoreham, Oliver Holmes, 21, of Michelmersh Close, Rownhams, and Glen Rogan, 47, of Wiston Road, Brighton, were sentenced at Lewes Crown Court on Friday (September 1), having all pleaded guilty to charges of violent disorder. Family members of the four defendants who were in court cried out when Judge Anthony gave them a nine-month prison sentence each. The court heard that the group had been drinking in The Railway Bell pub near Brighton railway station in the late afternoon on May 2, 2015. The pub was known to cater for Brighton and Hove Albion football fans. The group had been celebrating Calum’s 20th birthday, before a number of young men from Southampton walked in at around 8pm. Nicholas Hall, prosecuting, told the court a violent fight broke out in the pub affecting a family sitting nearby, with customers having to quickly move children out of the way. CCTV footage, which was played in court, showed the young family fleeing for safety. It also showed the two groups fighting inside the pub with chairs being thrown as weapons. The footage then showed the fight spill outside, with more chairs being thrown and an ashtray and table. A woman with her young child had been waiting for a bus outside, but had to quickly move, leaving her shopping behind, to get away from the brawl. Mr Hall told the court that it could not be confirmed whether the fight was motivated by football or not, as there was no relevance to a football match due to there being no matches nearby on that day. There was also no mention of any injuries caused to the men in the fight. The court heard how all four of the men had shown ‘great remorse’ and the acts of violence were simply ‘out of character’. They claimed the Southampton men had started the fight and that they were simply defending themselves. Brian Shaw, defending Adams, told the court the 22-year-old had not gone out looking for trouble and that it was simply self-defence. He added that he had been out with his girlfriend to celebrate his birthday, which sadly turned into violence. He also blamed his ‘checkered past’ and said that there was no suggestion that it was anything but a ‘spontaneous fight’ and no members of the public had been injured. “He has expressed remorse and sorrow for his behaviour and has proved that he is a positive member of society,” he said. Mr Harrison blamed Hawkes’ ‘unhappy childhood’ after being bullied and the recent death of a best friend in Afghanistan. The court also heard how the 27-year-old had been given a Football Banning Order following an outbreak of violence at the Euro 2016 tournament in France. The Brighton and Hove Albion supporter was among a group of about a dozen English fans who were involved in a confrontation with Russian fans at a square in Marseille. Mr Harrison told the court Hawkes had abided by the ban and had taken himself away from football and alcohol and lived a ‘much more positive life’. Mr Shaw, defending Rogan, told the court the incident had ‘changed him’ and his ‘perspective on life’. He said: “He has lived with this for over two years. He apologised immediately and accepted what he did, before the CCTV was even shown, he was remorseful and it was out of character. The court heard how the 47-year-old, who was 45 at the time, had been in Basingstoke watching Whitehawk that day and had come to join everyone to celebrate Calum’s birthday. Christopher Wing, defending Holmes, the youngest of the four, said his behaviour was ‘wholly out of character’. However, sentencing them, Judge Anthony said it was not self-defence and the men were ‘up for the fight’. He told the court: “Violence in public of that sort of nature is simply unacceptable and cannot go unpunished. “To make people fear for their safety in particular the young family inside and outside, when chairs and tables were thrown. All four of the men must serve at least half of their sentence. Holmes will serve his sentence in a young offenders’ institution.